It was on the beggining of my second week of volunteer work at the High Atlas Foudation and my first time on a field trip with them. I had an incredible experience. On January 21st, the staff from HAF, partners, other volunteers and the local people worked together to make the Tree Planting Day happen. In the morning we went to the Centre de Sauvegarde de L’enfance (Child Protection Center) in Douar Laâskar, Marrakesh. The institution takes care of vulnerable children, some of them in real risk situations. First, we went to the girls’ area of the Center. 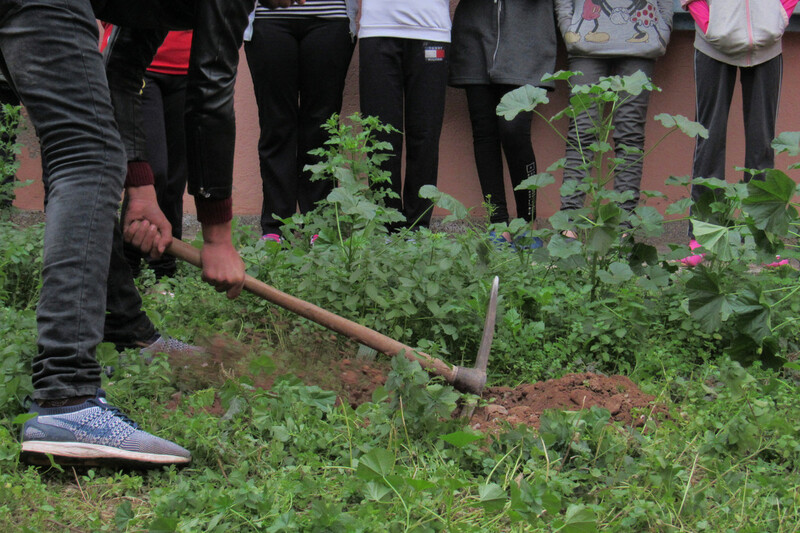 The teachers brought the kids to meet us and we all had a nice talk about the importance of planting trees. They got very curious and many questions poped up. It was really important for me to watch the young and sweet girls talking to the people while getting closer to the environmental care with shy but sparkling eyes. I took lots of pictures of them while working, trying to eternalize the moment with my own view of it. 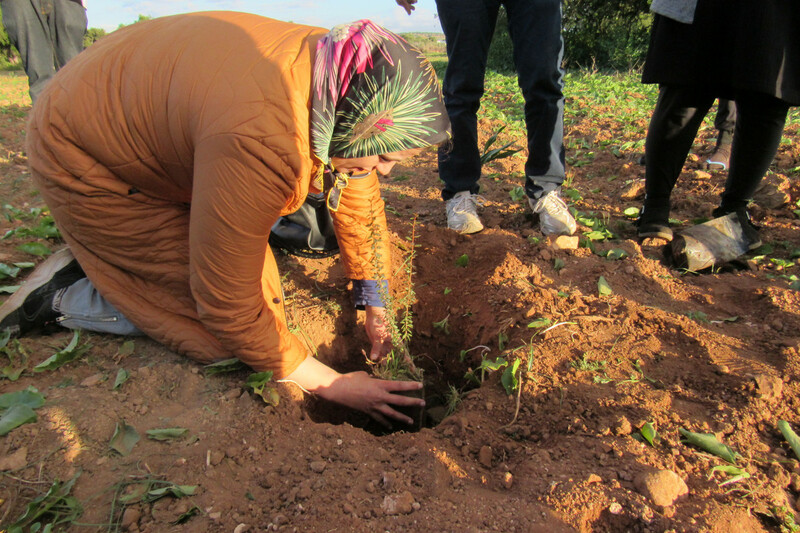 At the end of all the handwork, we planted two almond trees and one argan tree. The girls didn’t lose all of their genuine timidity, but I can say for sure that some seeds were planted in their hearts. Around 11:00h we went to the boys’ section. It was a completely different vibe. They didn’t ask lots of questions. Actually we didn’t communicate that much, there was no need of it. They simply took the tools and started planting, as if they had done it their whole lives. This really amazed me. We helped each other like equals, with true looks and kind gestures. 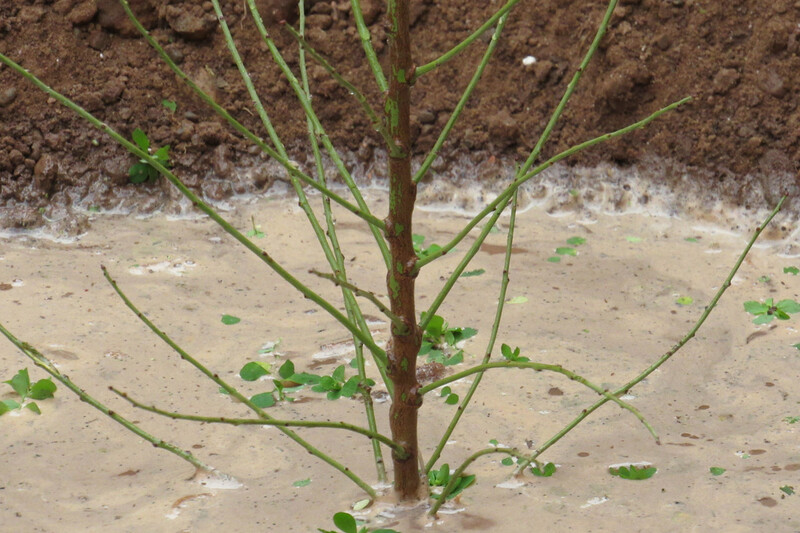 On this day we planted nine Almond trees! To be honest, I didn’t photograph that part of the experience very much. I was so present at the moment, observing their facility and trying to figure out what was on their minds. They seemed to be on a meditative state, so concentrated but also so peaceful. After all, the main feeling that I kept was gratitude. Gratitude to be there and to show these young people that they have lots of options and a future in front of them. In the early afternoon we started our road trip to Essaouira. Our destiny was to Ounagha, to meet the women responsable of the Cooperative Feminine Mogador Arganara (Female Cooperative Mogador Arganara). At 16:00h we arrived there. They received us with open arms and a delicious Morrocan lunch. We were able to talk and see the women making argan oil with their lived hands in a easygoing ambience. 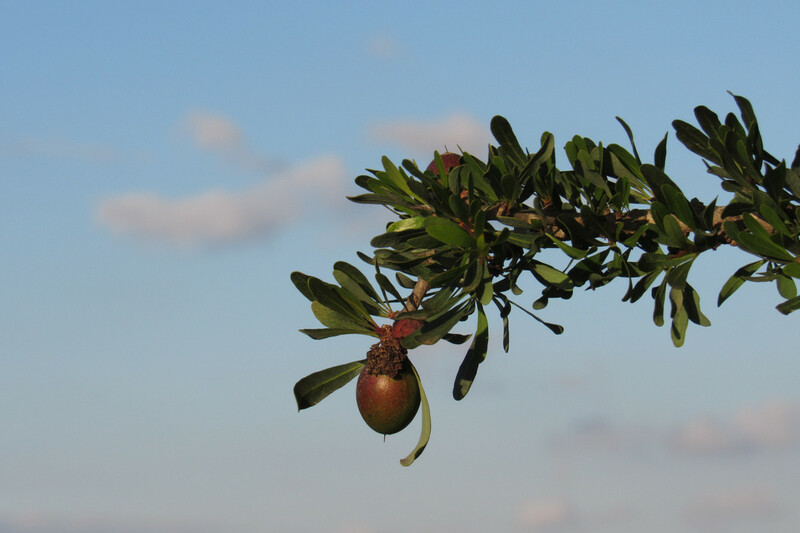 It is impossible not to notice how much work they have with each small argan seeds, even so they do it with patience and love. I learned a lot about the variaty of products that can be done with argan oil and the importance of those trees to the Cooperative as well as to Morocco’s economy. We had a wonderful time and so much fun there. For me, as a woman, it’s amazing to feel that we can be self sufficient with our professional life, and I felt this on their proud while presenting all their incredible products. 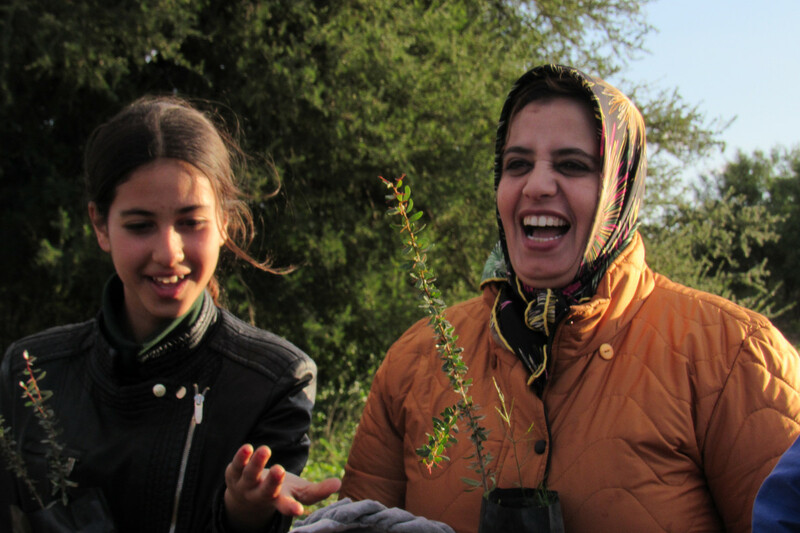 Furthermore, we planted in total five argan trees with them. Today, during the week after the January 21st, looking at all my photografic records, I could feel again some of the emotions that the Tree Planting Day gave to me. Living these experience brougth me a huge personal growth and only made my love and concern with the planet Earth increase. This day also gave me hope. Hope in real people, the ones that don’t gave up easily and truly believe in their own strength. Those people will change the world. Maybe someday I’ll be able to be like them. In sha Allah.